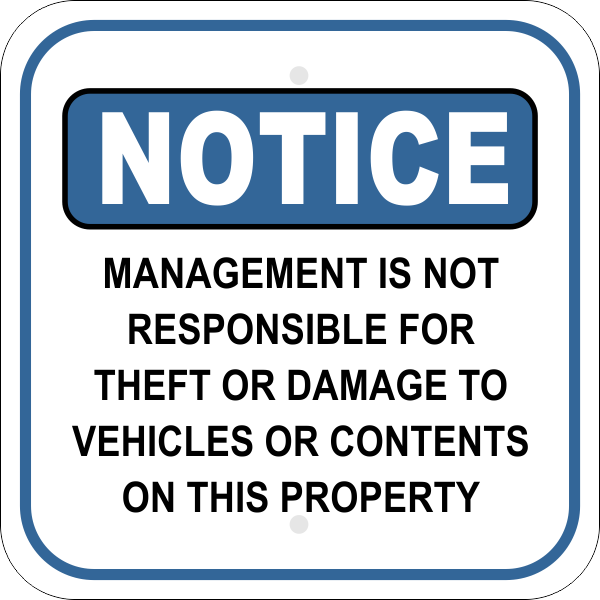 To help clear your company of liability when your parking lot is in use, use this special notice sign which outlines the responsibilities of your company. Professional duty aluminum sign features rounded corners and holes at the top and bottom for easy installation. Made in the USA, weather resistant, full color.